Herky has been active in the career development field for 25 years. He has been a proud member of the CDAA for 20 years, a member of the NCDA for 10 years, and his CCDP number is 80. He has worked for the CDAA Executive and Conference Committees for 8 out of his 20 years as a member. 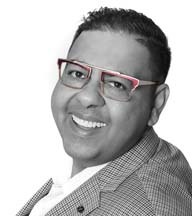 As a career development practitioner he has worked with clients in private practice, been a high school guidance counsellor, a career practitioner trainer (both face-to-face and online), a workshop facilitator, conference presenter, keynote speaker, and author. Herky understands the value and importance of career development in the world, whether it be for young people trying to figure out what to do with their lives, folks changing career paths for economic or other reasons, or organizations using career development to really engage their workers. He also has a lot of respect for career practitioners who dedicate themselves to helping others lead better lives. Gail Vandebeek Flitton has worked in the area of career development since 2001 when she began working with at-risk youth organizing and supervising work experience opportunities. In 2004 she became a Certified Career Development Professional and continues to be an active member of her local CDAA chapter. 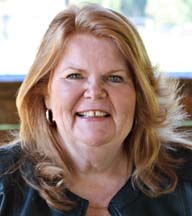 Gail is also a Job Finding Club trainer and facilitator and is very passionate about assisting individuals to learn job search strategies and empower people to find as one client said their "forever jobs". Gail has facilitated a variety of workshops to individuals from various walks of life including First Nation, Metis, and newcomers to Canada. Whether it is working with grade two students or the mature worker Gail maintains a deep commitment and dedication to maintain a respectful and positive approach to assisting individuals to reach their goals and to live their dreams. When Gail is not working, she is spending her time at her campsite with her family and her dog Chocolate Charlie. Samantha Schellenberg has spent the past 17 years as a passionate advocate of career, employment and education advancement at the local, provincial and national level. 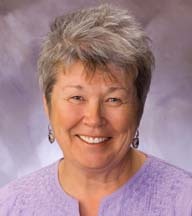 She currently sits on 3 committees serving the Foothills Region working to increase access to education and career related training for all demographics in rural communities. Samantha has previously held multiple leadership roles with VRA Canada in active support of her respected peers in their work with clients experiencing complex career change due to chronic illness, injury or disability. Samantha was awarded a Bachelor of Arts Degree and Double Major on scholarship from the University of British Columbia. She began graduate course work in Career Development & Disability Studies with the PanCanadian Master's Program at the University of Calgary, and obtained a CCDP Designation, RRP Designation and Prosci Change Management Certification. Samantha's graduate studies were pleasantly interrupted to become a mother of 3 beautiful children who inadvertently inherited her sense of humour and exuberance. Shortly after becoming a mother, Samantha recognized a need for increased work flexibility. Freddi Dogterom BHS, P.R.P., RRC®, CCDP has been a passionate career development professional for over 35 years. She was fortunate to be in on the early days of pilot projects and content development when the field was in its Canadian infancy. Starting in the Arctic as a Career Counsellor she championed special projects such as WINTO - Women in Non-Traditional Occupations and the development of specific training programs and projects for marine drilling workers. On moving to Southern Alberta she was actively involved with the early days of CDAA and was a charter member of both the provincial organization and the Southern Alberta Chapter. Her CCDP designation is #20, not the pilot group - but the very next cohort. Known for her energy, commitment and creativity she continues to support individuals and the career development profession as a speaker, trainer and facilitator of training for Career Development Practitioners. She currently takes her passion into the encore phase of career development working with groups and individuals who are now planning their Retirement Lifestyle. Her favourite quote and life motto: "It's not whether you think outside of the box, it it recognizing that there is no box!" Elizabeth has been a member of the Career Development Association of Alberta since 1999 and employed within Career Development Services for 18 years. She has actively supported the development and promotion of the CDAA as a Board member and Chair of the Registration / Standards and Certification Committee. Involved with the 2004/2005 pilot project of the Certified Career Development Professional, Elizabeth has the distinction of being recognized as the first Certified Career Development Professional (CCDP) in the province. Additionally, she was the first Canadian to graduate with a Master's Degree in Career Development from Edith Cowan University, Western Australia. Her research focused on demonstrating evidence for career development services in a Canadian post-secondary setting. Prior to her domestic designation, Elizabeth had already acquired the international Career Management Practitioner designation (CMP) from the Institute of Career Certification International. Then in 2015 via a rigorous review and presentation of her work to a global board met the criteria of Career Management Fellow (CMF). As a Career Development Professional, Elizabeth has worked for Non-profit, Post-secondary and Government sectors and is currently employed as a Contract Services Coordinator, with the Ministry of Community & Social Services. Travel, art and culture are interests outside of work but family is always her first priority. 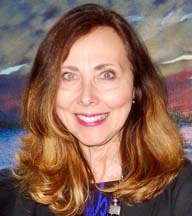 Dr. Roberta Neault, CCC, CCDF, GCDFi, is President of Life Strategies Ltd., Associate Dean of the Faculty of Behavioural Sciences for Yorkville University, and Project Director with the Canadian Career Development Foundation. 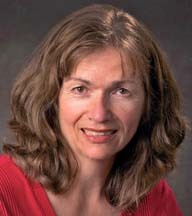 An award-winning career management specialist with almost four decades of relevant experience in counselling, coaching, consulting, training, curriculum design, research, and writing, Roberta currently serves on the executive of the Counsellor Educators Chapter of the Canadian Counselling and Psychotherapy Association as President-Elect and is also on Team Canada for the 2017 International Symposium on Career Development and Public Policy in Korea. For her international leadership in career development, she received Stu Conger's Gold Medal and Diamond Pin award. Ann is a career consultant and career educator with over 20 years' experience in the personal and professional development field. She specializes in career decision making and creating career strategies. During her 10 years' experience in the career development field she has worked with immigrant youth and young adults facilitating both life skills and employment skills. She has volunteered with three different high schools helping career practitioners with the CALM program, worked with youth at risk at the William Roper Hull School in their work experience program, and volunteered in various leadership roles with the Career Development Association of Alberta. Ann has a Diploma in Business Administration, a Bachelor of Arts Degree in Psychology, a Master's Degree in Education specializing in Workplace and Adult Learning, a Career Development Certificate, and a Career Development Facilitator Certificate. As an entrepreneur and business woman Ann is a consummate advocate for the career development field. 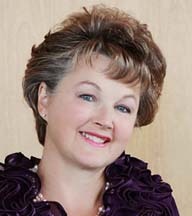 She demonstrates her belief in personal and professional development as a member of the Career Development Association of Alberta, member of the British Columbia Career Development Association, member of the Canadian Association of Professional Speakers, and Distinguished Toastmaster. The Alberta Learning Information Service (ALIS) website launched in 1996 and its origins as a Government of Alberta career information service date back to 1976. Today, alis.alberta.ca is a leader in providing free and relevant information, both in print and online, to help Albertans plan their careers, learning and employment. Alnoor loves life and ignites this passion in others through workshops, vocational services and coaching one-on-one or in teams. Peers and clients alike say, "thoughtful, creative, engaging facilitator that is very focused on the client/participant. He has an amazing ability to respectfully engage with people of very different experiences and perspectives including mature workers, newcomers, and persons with diverse physical and developmental challenges. And to top it all off, he has a fantastic sense of humour." Alnoor has presented to leaders and business developers across Canada and internationally. He uses his background in Human Resources Management, along with eight years in career services, to assist mid-career clients to seek 'best-fit' solutions. In one-on-one work and group settings, he brings marketing savvy to competitive job search as he repackages past work experience to meet changing career goals. Alnoor understands the strategic and tactical issues that job seekers face and as a coach he is highly effective in opening up new perspectives. Alnoor is an acclaimed career coach, workshop facilitator and coaching award winner: Career Development Practitioner of the Year, Career Development Association of Alberta ; Professional Business Service, Okotoks Chamber of Commerce ; Team Category, Business Service, Okotoks Chamber of Commerce . Yasmin is a dedicated and award winning Career Development and Employment Professional with over 15 years' experience working with individuals facing barriers to employment. Her expertise in Service Needs Determination Assessments, Career and Funding Advising, Employment Counselling, LINC referrals and extensive knowledge of community services and government programs and services fosters successful collaboration. Her professional and volunteer work started in East Africa, London (U.K.) and Canada. Yasmin was an authorized official trained by Alberta Works to refer clients for training; she worked extensively with adult immigrants and more recently with junior/senior high school students. Yasmin is heavily involved in the Focus Afghanistan Project related to resettlement and Refugee issues in conjunction with the Federal Government. Since 1992 she has been a member of His Highness The Aga Khan's Council focusing on education, economic planning, settlement, and social welfare. She was also a member of the Prairies Poverty Alleviation National Council and is currently a member of the Social Welfare Board as an external resource for all new immigrants. She has significant experience as a Case Manager of "crisis files" with the Social Welfare Board and has been appointed a new portfolio, Quality of Life. She was a top three 2015 finalist for Immigrants of Distinction Award, nominated for Stu Gonger Award 2012 (Canadian Career Development Foundation), recipient of Exemplary Volunteer Services and Leadership Award, Member of Advisory Committee ILVARC (Immigrant Language Vocational Assessment Referral Centre), Certificate of Achievement: Mental Health (Suicide Awareness, Abuse, Addiction, Poverty). In addition to her work experience and competencies, her compassionate, customer-centered, collaborative manner integrated with a results-oriented systems thinking approach has helped countless individuals and their families towards personal and economic resiliency and independence. Yasmin semi-retired in 2015 but continues with her volunteer work. Paula's commitment to her profession is demonstrated through her active involvement as a former Board member with the Career Development Association of Alberta, current role as the Executive Director of the Career Development Association of Alberta, and contributions as a Board Member (Secretary) with the Canadian Council for Career Development and Chair of the Canadian Council for Career Development Certification Working Group. She is also the founder and President of Career Designs for Life Inc and holds a casual contract with the Department of National Defence as a Career Transition Coordinator. In 2012 Paula completed a Bachelor of Management in Human Resources and Labour Relations and now has her eyes on a Master's degree in Career Development. She is a dedicated lifelong learner and enjoys being involved in her profession. She consistently presents at Cannexus and is proud to have a lead role in planning and hosting the Alberta Career Development Conference. Throughout her career which spans 15 years she has supported career planners and transitioners in rural and urban labour markets, from all occupational and educational backgrounds, and of all ages and abilities. She has also worked closely with employers to understand their needs and to find the right people to help them succeed. In 2013 she was recognized as a Life Member with the CDAA for her contributions to strengthening, growing, and promoting career development in Canada. Nancy has been involved with CDAA as a supporter of professional development, education, and training for Career Development Practitioners since before its inception in 1997. 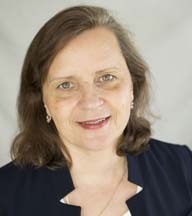 Her commitment to the association, its members, and the career development profession as a whole is demonstrated through her consistent and collaborative involvement, her willingness to share her research through professional development, and her roles in national and international associations and organizations. She is well respected and her research is relevant to all practitioners regardless of the populations they work with. Nancy is a gift to the profession and to the association. Her commitment and dedication to career development makes her most worthy and deserving of Honourary Membership. Lynne Bezanson has been committed to this field for many years and states that she has been privileged to be placed in positions of leadership where she could influence change. In over 30 years Lynne has seen many improvements, still far from what she had hoped but very significant progress. Lynne states that she thinks she has been one of the key contributors to these improvements beginning in her work within what is now ESDC when professional employment counselling was being "invented" to over 20 years at CCDF where the team works only on initiatives which strengthen the field in a myriad of ways. She is known to be a strong advocate and defender of excellence. Lynne states that, "I am also totally blessed in being able to say without reservation that I love what I do and the people I work with." And just for the record, Lynne was the keynote speaker at the very first BTT Consultation in Edmonton. She also remembers what a thrill it was to see a province begin to truly recognize career development as a distinct area of professional practice and thinking that we must keep working until this is the case in every province and territory. Lynne's final statement, "We are not yet there but we have come a very long way!" Sareena is committed to strengthening the career development field and promoting its contribution to the socio-economic health of citizens, communities and countries. To this end, she works in areas of public policy, research and development, training and advocacy. Sareena has been instrumental in a wide range of strategic leadership initiatives in Canada and internationally. She co-facilitated the most recent International Symposium on Career Development and Public Policy and was lead author of the policy communique, Building the Talent Pipeline and Providing Youth with Hope for the Future (2015). Sareena worked with the Council of Atlantic Ministers of Education and Training to develop their policy framework for career education 2015-2020 and speaks on issues such as youth un/underemployment, labour market imbalance, employability and career resilience. Sareena strives to bring people together around common causes, harness collective energy and move beyond talking to action. She believes a lot can be achieved by a few really committed people and seeks to inspire front-line CDPs to see that this is OUR field to nurture and grow. Sareena works to extend proven practices, build professional identity, strengthen professional associations, establish cohesive standards and promote a sense of pride from within the field and a sense of recognition and respect from outside of the field. In addition to her role as Executive Director of the Canadian Career Development Foundation, Sareena is founding chair of the Canadian Council for Career Development (3CD) and was awarded the International Gold Medal for Leadership in Career Development in 2014. A winner of provincial and national awards in career development, Dave has devoted over twenty-five years to the development of better career development and workplace concepts and practices. His work has addressed a wide array of issues in both career development and leadership, from helping at-risk teens manage their career paths to working with executives to make their companies more career-friendly. He has worked extensively with municipal, provincial, federal and First Nation governments, energy companies, financial institutions, policing organizations and utility companies. His passion for career development pervades his work, which includes practitioner training, facilitation, public speaking, program development, product development, model/idea building, and research. 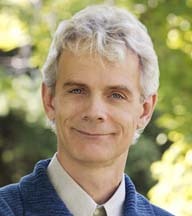 Currently the President of Life-Role Development Group Limited, Dave has also been a Governor of the Canadian Career Development Foundation, a Director of the Canada Career Consortium, the Director of Program Development for the Centre for Career Development Innovation, and a founding member of the Alberta Career Development Action Group (ACDAG). He has worked in every province and territory except Nunavut and Prince Edward Island, as well as in Bulgaria, England, the Netherlands, Saudi Arabia, Scotland, the USA and Wales. Emily Sylvester fell into her first work in career development over 30 years ago. It was a lucky fall. It gives her a platform to practice social justice (we used words like that 30 years ago!) and she's never left. Emily is a speaker at conferences across Canada and the author of multiple articles and A Book of Surprises: Games, Stories and Magic for Career Practitioners. Emily completed a Diploma in Career Development with Concordia University College in 1993 and earned her CCDP in 2008. 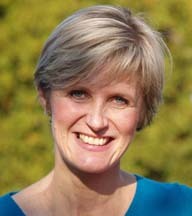 She has taught career practitioners in the far north and across the western provinces. Emily was a founding member and one of the original board members for the Career Development Association of Alberta. Her peers in the CDAA network of career practitioners, and our clients, inspire her regularly. 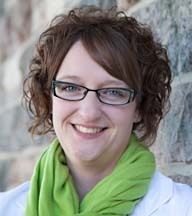 Emily has been recognized with several awards of excellence in career practice. Emily and her husband live on a small farm in Northern Alberta. 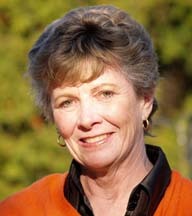 Marilyn is a Certified Career Development Professional and adult educator and workshop facilitator for over 15 years. She has worked in the private sector, on contract with the Alberta government, and as an independent career practitioner. Her involvement in CDAA began as a committee member for the BTT planning committee and has included a two-year term as chairperson. She has participated in several focus groups for the development of the CCDP professional designation. 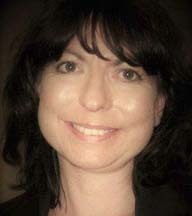 In 2003 Marilyn accepted the role as CDAA president for a one-year term. She was actively involved with the BTT Three Year planning committee and later the BTT Partnership. Over the last several years Marilyn has presented a variety of sessions at BTT. 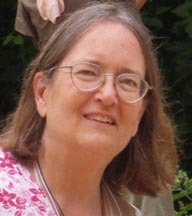 More recently as a Certified Drum Circle and Health Rhythms™ Facilitator, Marilyn has presented her popular drum circles to enthusiastic BTT participants. Marilyn is a Personality Dimensions Level 3 Master trainer and is a co-author of Retirement Dimensions™, a specialized application of Personality Dimensions specifically designed for individuals at pre-retirement and/or retirement stages of life. 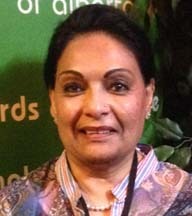 Nell led the working committee that was instrumental in forming the CDAA and was elected as the CDAA's first president. She actively participated in the working group that developed the CCDP professional designation and was active in the Calgary Chapter when it initiated its annual professional development day, Ignite Your Passion, volunteering as its program coordinator for a number of years. 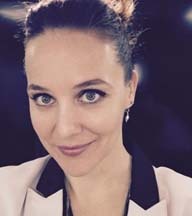 Nell was and is a regular presenter at provincial conferences like Building Tomorrow Today, precursor to the Alberta Career Development Conference, and occasionally national conferences such as Cannexus and the Canadian Institute of Financial Planners. 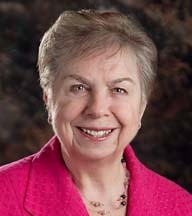 As a Certified Career Development Professional, a Registered Retirement Consultant, and adult educator Nell was one of the first to recognize that career development tools and resources were needed for the baby boom demographic who are living longer than their predecessors, creating a whole new unchartered life stage. She developed Retire to the Life You Design©, a workshop to help boomers get clarity on the possibilities, potential, and opportunities in the second half of life, including working on their own terms. Currently, she is contracted to deliver this workshop to all Government of Alberta employees, engaging fellow career professionals to facilitate the workshop. She has trained 35 professionals who are licensed to use her custom materials in their own practices. Nell is the author of the book Retire to the Life You Love: Practical Tools for Designing Your Meaningful Future available on Amazon and e-platforms. Previously, she authored the still-in-print Government of Alberta publication, Change and Transitions: the Path from A to B is Not Always a Straight Line, and was contracted as an "expert consultant" on the publication Midlife Career Moves. With a team of five Canadian professionals, Nell co-authored the temperament-theory based Retirement Dimensions™ self-assessment and interpretation tool plus the accompanying Facilitator's Toolkit for Career/LifeSkills Resources Inc.
Nell is currently shifting focus to include more creativity and spirituality in her personal and family life while continuing to speak, write, and mentor others.